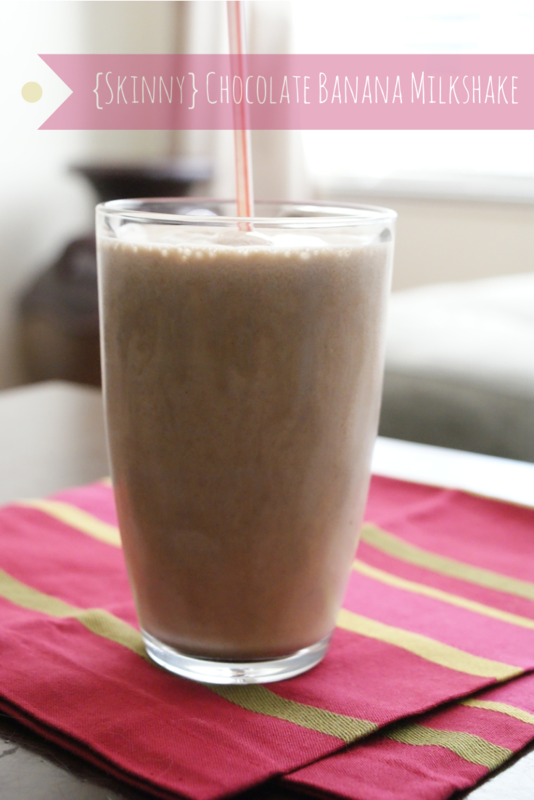 This Skinny Chocolate Banana Milkshake is a healthy sweet frozen treat that uses cocoa powder for chocolatey flavor, frozen bananas for natural sweetness, and almond milk to bring it all together. As we roll into summer, I am painfully aware that my body is very much not bikini ready. To put things in perspective though, my body has not been bikini ready is many many years. I am doing pretty well on maintaining a healthier weight than I have in the past, which is a plus, but I am for sure not exactly where I'd like to be. One way that I have been able to cut back on unwanted pounds is to focus on clean eating. Lots of fruits and vegetables, lean meats, and an attempt to cut out the processed crap. Note that I do say attempt, because while I try to only buy whole foods, somehow cheesy poofs and goldfish mysteriously end up in my shopping cart. I'm working on it though. I know less chemical and more purity is best for my family, so we'll keep trucking along trying to make the best choices we can. This milkshake follows along the clean eating lines, using cocoa powder for our chocolatey flavor, frozen bananas for natural sweetness, and almond milk to bring it all together. There's even a little protein powder in there for an extra protein kick! Put all of the ingredients in your blender and blend until smooth. Serve immediately. Source: Adapted from FITGirl Training.